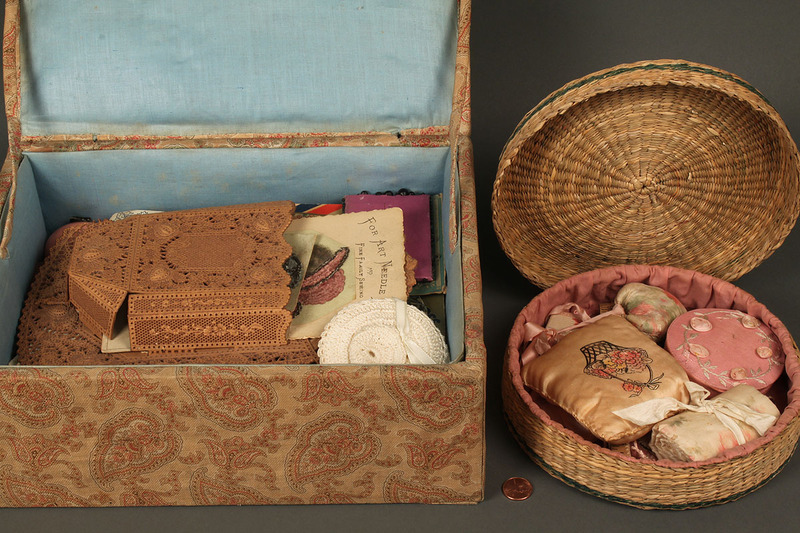 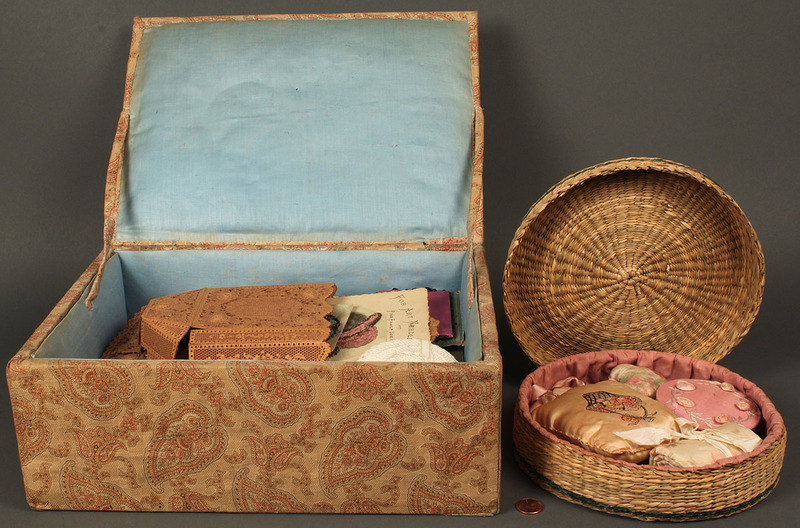 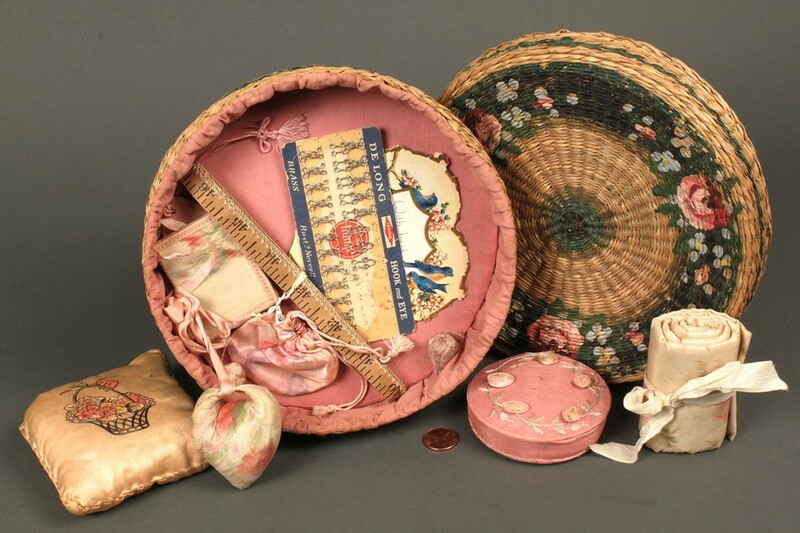 1ST ITEM: Woven round sweetgrass basket box with painted floral design, lined, with contents including 2 silk strawberry emerys, silk needlecase and pincushions, measuring tape and hooks. 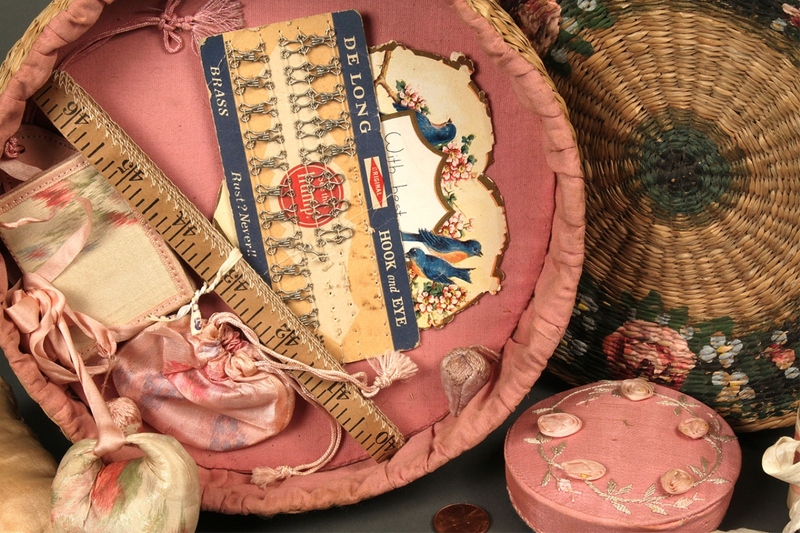 Box measures 8" diameter. 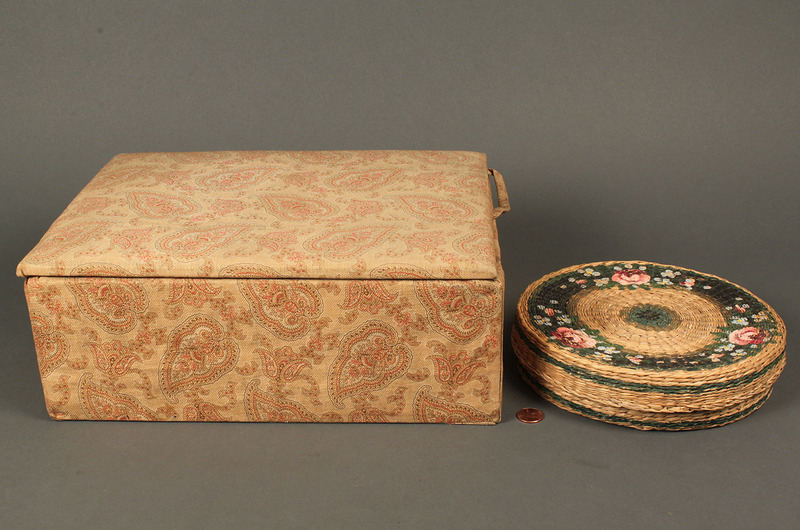 2ND ITEM: Box covered in paisley fabric (faded) with hinged lid. 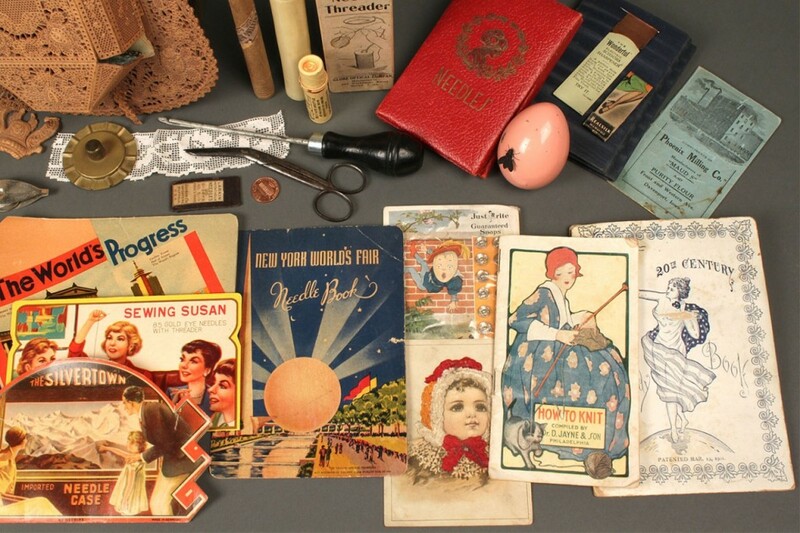 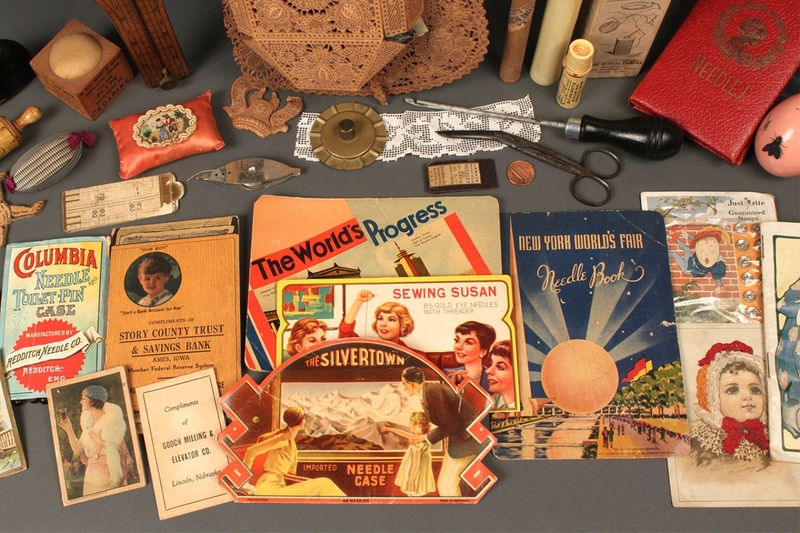 Includes contents related to needles: perforated paper lace wall pocket (damage and losses) with 3 perforated needlework designs, Heath & Gills silk and leather needlecases; and 13 lithographed early advertising needlebooks including Merrick's, Coca Cola, Charles Dreiske coal, Chicago World's Fair, New York World's Fair, and Silvertown. 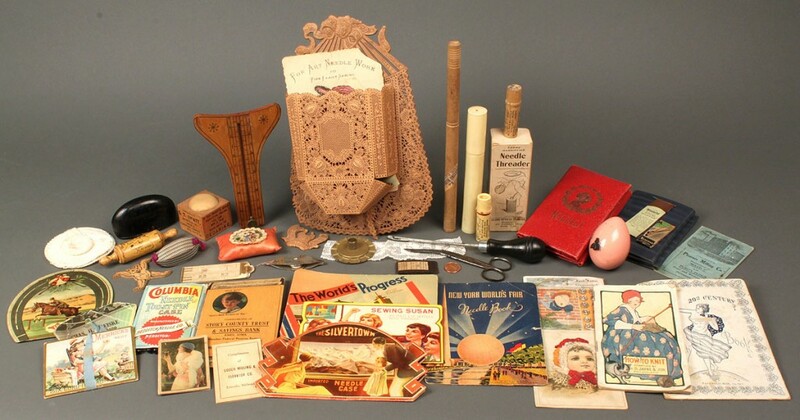 Also includes an Adams Magnifying Needle Threader in box, celluloid and wood knitting needle cases with needles, Boye advertising needlecases, figural wood needlecase in the form of a rolling pin, 2 other needlecases, and egg with figural novelty fly top. Box measures 5"H x 12-3/4"W x 10"D. Provenance: estate of Isabel Pesek, Ames, Iowa. 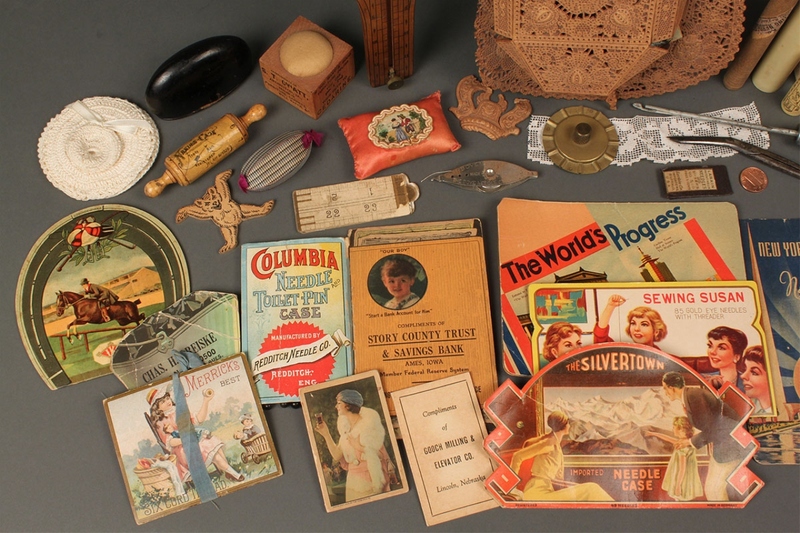 Condition: Good used condition except where noted in item description.